We use the Creative Curriculum for Infants, Toddlers and Twos to provide activities. The Creative Curriculum infant program includes developmentally appropriate learning activities so infants and toddlers can explore their world. Formula and baby food is provided for infants who are not yet on table food. Teachers work with you and your child as they are ready to begin toilet training. We will help both the family and the child to be successful with this milestone. Through encouragement and positive reinforcement, our toilet training program provides children with self-help skills that support the toilet training process. Our program allows them to develop the skills they will need for continued success in kindergarten. 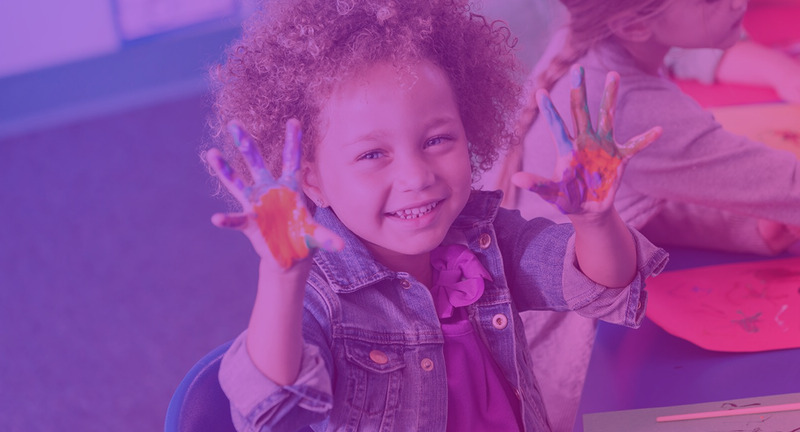 The Creative Curriculum utilizes materials and activities that children in our preschool and pre-k programs are able to work in a developmentally appropriate environment that fosters literacy skills, math skills and social skills. This Riverside preschool allows children to learn at their own pace about things that are of interest to them. Our pre-kindergarten classes use the Creative Curriculum model. This curriculum gives children the opportunity to learn in developmentally appropriate learning centers that prepare them for kindergarten. We use a safe certified school bus to transport children to and from the local elementary schools. We provide a quiet homework time, as well as recreational after school activities, a healthy snacks. We also provide an exciting project based program which includes field trips for summer camp, school holidays and vacations.